The biggest night in television has made its mark! The 70th Annual Primetime Emmy Awards were held in Los Angeles at the Microsoft Theatre in Los Angeles. Although the show had dull moments, and dry humor, the red carpet is all we really care about! The stars shined as each sashayed their way down the carpet. From Jessica Biel and Justin Timberlake, to Issa Rae and Kristin Cavalleri, check out some of our favorite looks! Jessica Biel and Justin Timberlake looked stunning and made the Emmy’s look like the perfect date night. Mandy Moore looks simple and elegant in a floor-length bronze gown. Scarlett Johansson looked gorgeous in an off-the-shoulder white gown. 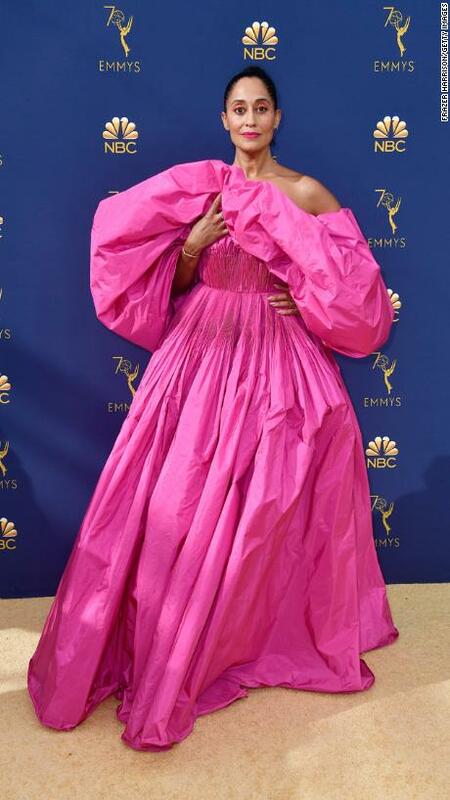 Tracee Ellis Ross was bold and beautiful in a pink (and puffy) gown. Chrissy Teigen looked elegant in a dazzling silver high-slit gown. Heidi Klum was fabulously elegant in a light pink gown, along with a long train. Issa Rae looked radiant, wearing a baby blue bedazzled jumpsuit. What was your favorite look doll?